After graduating in Mechanical Engineering at the University of Padova, Giulo Pedrollo attained a Master degree at the MIP, the Business School of the University(“Politecnico”) of Milan. Mr Pedrollo is the CEO at Pedrollo SpA, a family company that is among the worldwide leaders in the industry of electric pumps for water movement. In 2002 he founded Linz Electric SpA, operating within the energy industry, specialised on the design and production of rotating alternators and welders. 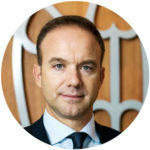 He has covered a variety of roles within the associative world : he was the Regional President of Confindustria’s Young Entrepeneurs for the area of Veneto, former President of Confindustria Verona and is now Confindustria’s National Vice President with the delegation of Industrial Policy. Among the most relevant appointments in the economic world, he is the CEO at BpM Bank.